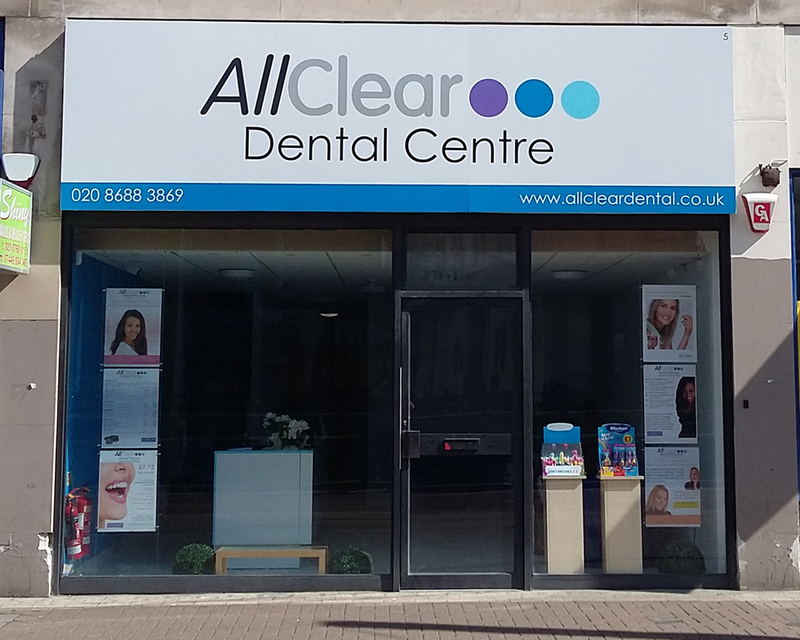 AllClear offers approachable & affordable general dental care for all the family. Fixed & inclusive prices with no hidden extras - the price you see is the price you pay. Our membership scheme offers inclusive examinations & hygienist sessions and discounts on most other treatments (only orthodontics and treatment by visiting practitioners are excluded). A beautiful smile starts with healthy teeth and gums and, at the heart of AllClear's values is a desire to provide top quality general dental care to all of our patients. With a range of treatments to suit all budgets, competitive fixed & inclusive prices and extended payment options, you can be assured of affordable high quality private dental care. We normally recommend that you have a dental check up every six months; even if you think that everything is fine, regular attendance helps spot the early signs of tooth decay, gum disease or more serious problems such as mouth cancer. At your check up, we will inspect your teeth, gums & mouth, taking x-rays or photographs where necessary and we will advise you of any treatment required, the options available and the costs involved. We will also advise you of any changes needed to your diet or oral hygiene regime to keep your teeth, gums & mouth healthy. To minimise the risk of more serious problems, it is important for you to maintain an effective oral hygiene regime and this means cleaning your teeth for two minutes, twice a day and using floss or interdental brushes to keep the spaces between your teeth clean. However, sometimes you may need a little help and regular visits to a hygienist can help, not only by deep cleaning your teeth to remove stubborn stains and plaque/scale but also by showing you the correct way to brush and offering help and advice on maintaining your oral health. At AllClear, we stress the importance of maintaining healthy teeth mouth and gums and early treatment of any problems identified to avoid more extensive and costly treatment later on. If you suffer from bleeding or swollen gums, loosening teeth or unpleasant odours/taste in your mouth, it can be an indication of periodontitis (gum disease) which, if left untreated, can lead to the loss of teeth in later life. If we detect signs of this, we will recommend that you see one of our hygienists who will not only thoroughly clean your teeth but will also give you instruction to help you develop an effective oral hygiene regime. Our hygienist appointments are priced per session and if you require more than one cleaning session in your course of treatment, you will be advised at the outset. And remember, you no longer have to see a dentist before seeing a hygienist (although we do recommend regular dental checks alongside hygienist visits). Our treatments normally come with a guarantee of at least one year (the main exception to this is where you ask us to undertake a treatment on a tooth with a poor overall prognosis). Economy. If you have a limited budget, then our economy range should fit the bill. This treatment range uses similar materials to those used in many NHS practices and, although the colour match may not be as close as that achieved in our other ranges, you can still rest assured that you will receive a good standard of treatment. Regular. This range provides you with the treatment and outcome you would expect from an independent practice. Your dentist will take time to ensure that your filling, crown, bridge or dentures are a close match to the colour of your existing teeth and will use good quality materials throughout. Premium. This range gives superior aesthetics and quality allowing extra treatment time and using premium materials that offer the closest possible match to real teeth. For treatments requiring laboratory work, the dental technician may also attend the practice to take the shade and fit if necessary. You do not have to take all of your treatment from one range and are free to combine treatments from different ranges if you wish.